Well summer is not over yet, but I sure have learned a lot so far. Every year I am taught new lessons about plants, soil, pests, weather, pruning, pinching, fertilizing, and more! What’s different about this year? Well, I have a blog now! I will be able to look back at all of my garden pictures and information that I posted about as it was happening. More importantly I will be able to look back at all of the wonderful comments and advice from fellow bloggers! 1. While it was neat starting tomatoes and peppers indoors in February, it was just ridiculously to soon for our zone. Transplanting 3-4 foot tall plants is a pain in the backside. It was nice to get fruit so early, but that was a little nuts! 2. It was backwards to plant lots of shade loving perennials and then decide that the giant maple needed 4 humongous branches cut to keep our house safe during bad storms. 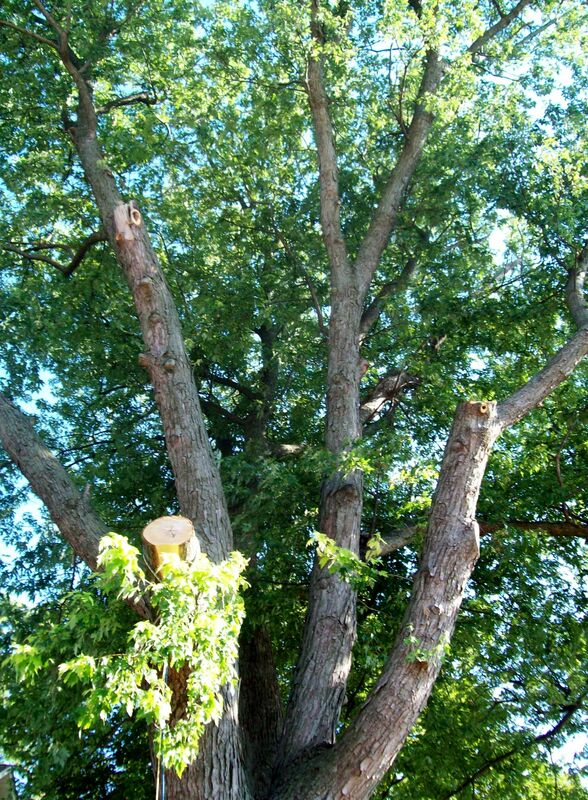 Trim tree first…then plant to see where the sun shines! 3. 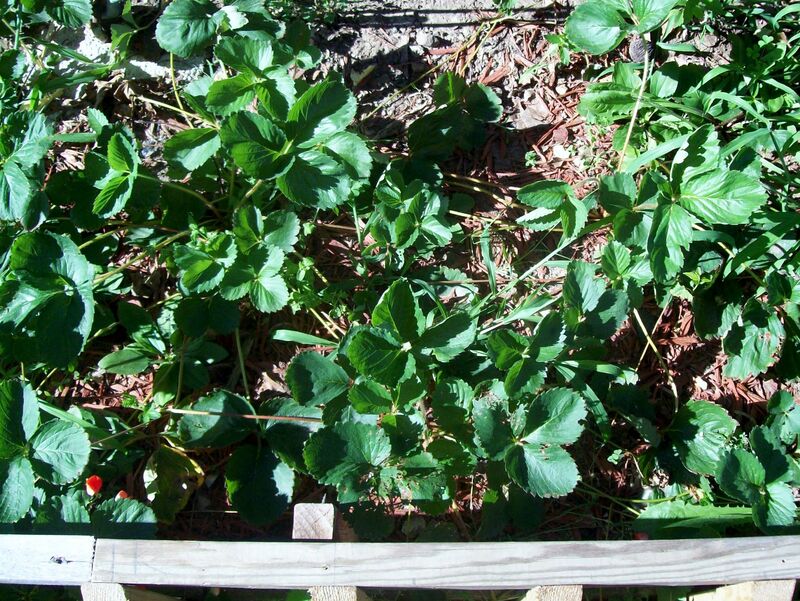 Next year I won’t use a ton of mulch on my strawberries. I had to help every single runner find a spot to root because I was thinking, weeds are bad and water retention is good! BUT…the little runners couldn’t begin their own plants unless I helped them because I used so much darn cedar mulch. 4. Start zucchini, pumpkins, potatoes, and squash earlier. 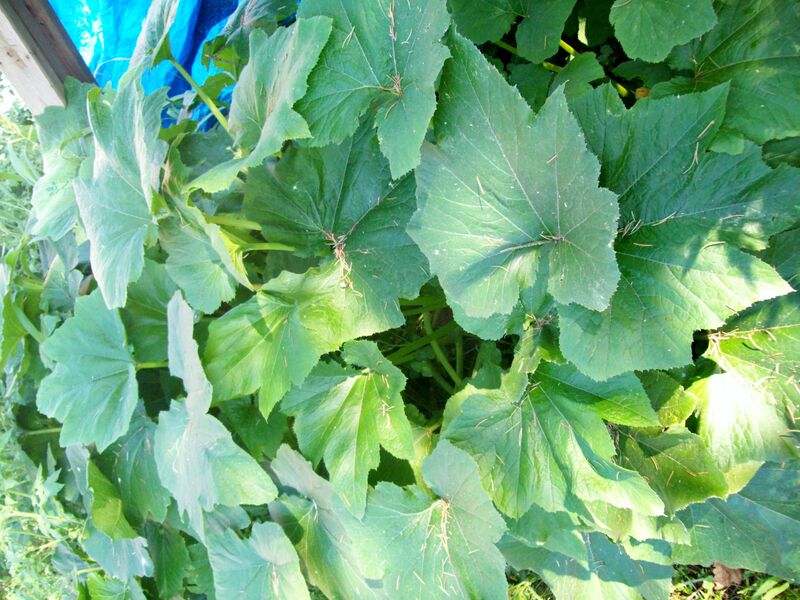 Everyone is harvesting it now in our area except for poor me. Oh well, at least I was the gold medalist for earliest tomatoes and peppers…Umm…refer to number 1. 5. 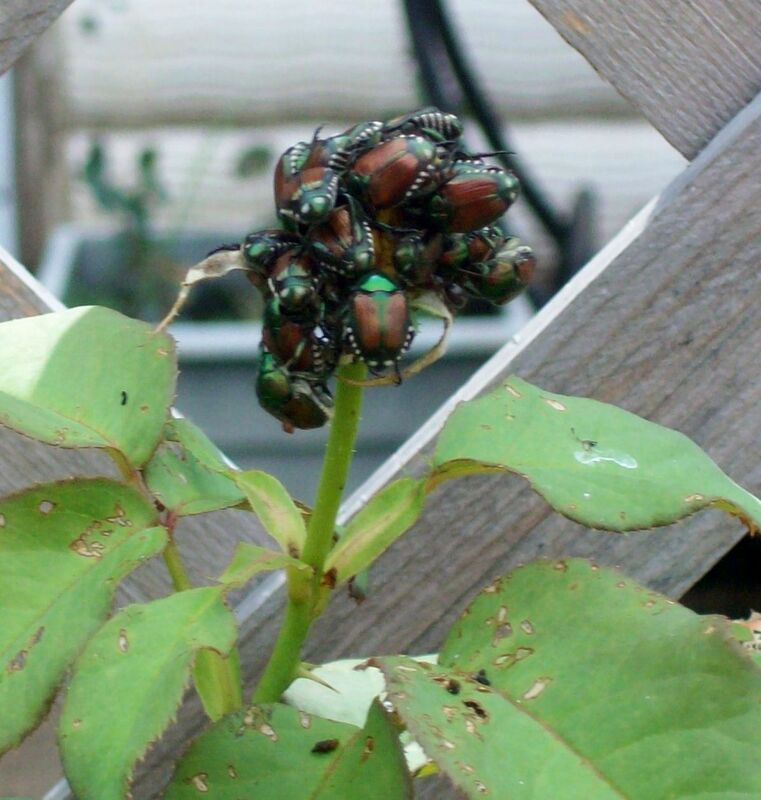 Next year I will treat the soil and foliage of my roses immediately at first sight of a single Japanese beetle. They are not near anything we eat, and waiting to treat them this year may have cost them dearly for next year. 6. I will not plant the tomatoes and peppers so close together. 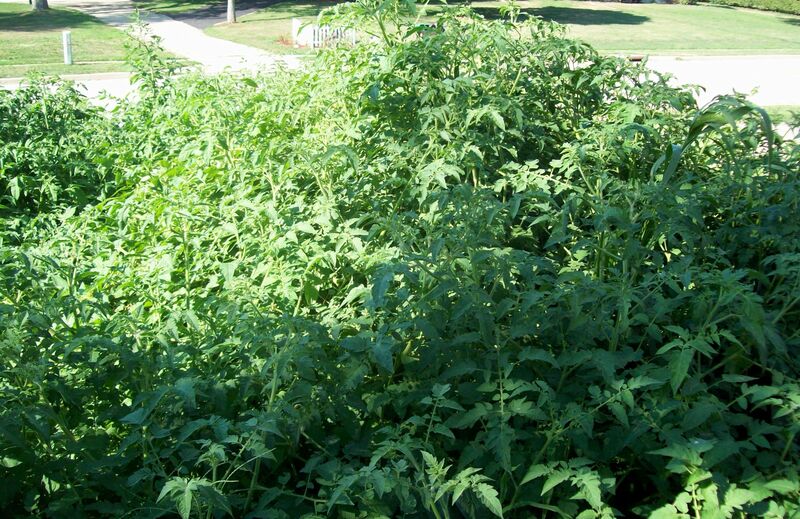 It’s a literal tomato and pepper jungle. I’m afraid that critters are living under the large canopy of fruit and branches now, and am making my husband dive in to harvest them for me! On the plus side, we have already picked about 40 pounds with a lot more to come! 7. 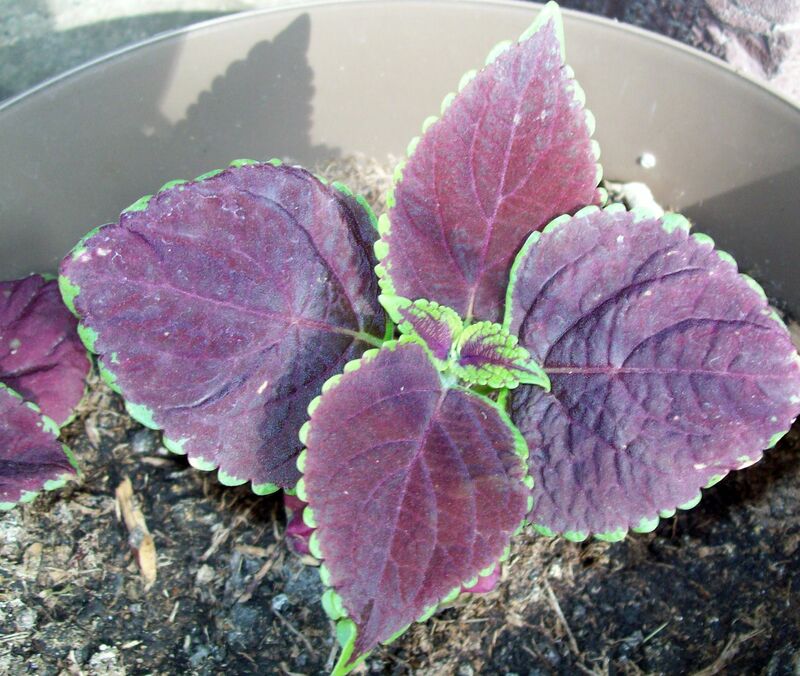 I won’t ever start coleus from seed again. It took forever to germinate and once it did, took constant care to really get going. (it’s fine now.) From now on I will stick with cuttings that take root within a couple of days and are good to go! 8. Next year I’m defiantly going to invest in some self watering planters. 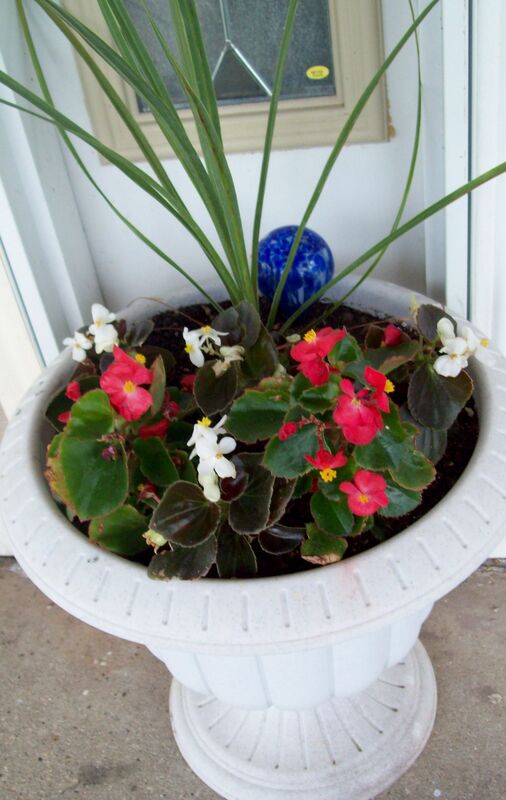 With the drought and heat here in IL, I have had to water potted plants 2 and sometimes 3 times a day! Surely I will be adding to this list! There is still much left to harvest, and much more to learn. Thanks to all my garden friends! 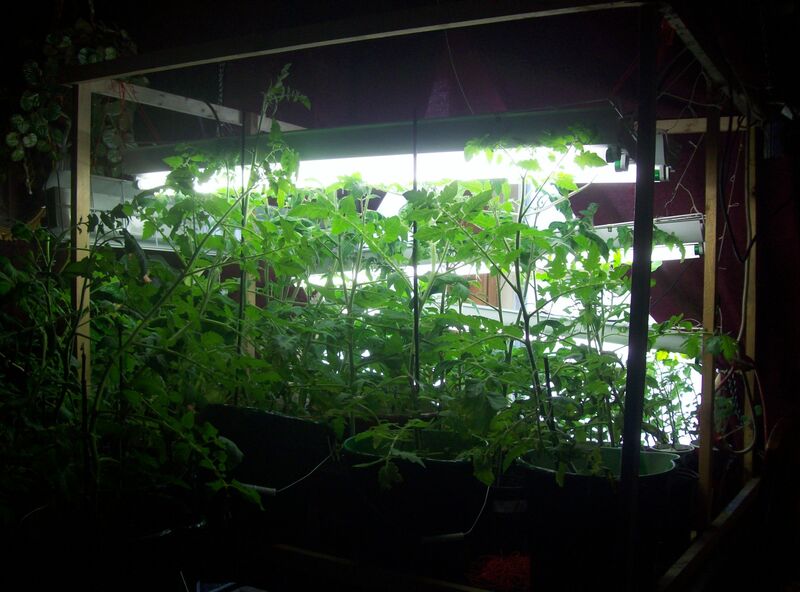 Posted by Createityourself on August 1, 2012 in Plants and Gardening, Project Center and tagged garden, gardening, japanese beetles, learning, lessons, peppers, Plants, roses, tomatoes. Love your lesson learned about planting peppers and tomatoes too close. Thhis year, I have to learn that same lesson. One tomato plant has outgrown its cage to heroic proportions, and is constantly threatening the peppers next door. Lots of good tips here that will help me too. Thanks. I adore this post! I hope you don’t mind but I simply couldn’t resist re-blogging it because your tips are all excellent and this post made me laugh. Your blog is the best! Thanks so much for the kind words and reblog! Lots more mistakes to be had, but better to learn and smile than cry and frown! oh my goodness…those beetles are just nasty looking! We don’t have those (yet) in Idaho…I hope that we never do! ick!! I can handle snakes, spiders, wasps…but those things remind me of something from a horror movie! You have a fun blog 🙂 Thanks for reading mine. Yes, they are nasty indeed! Thanks for commenting! Great post! We’ve been feeling the same way about our blog — it is not only wonderful to be part of a community and get thoughts and advice, but it becomes a wonderful record of garden progression, house projects, trips, etc. through the years! Glad that your garden/learning progresses. Check out my blog/world to see my garden pleasures this season. I certainly will be reading more of your blog! It’s very good, and I need all the help I can get at times! Feel free to give me a shout anytime! D.
PS For those Jap beetles, put a small bit of dish soap into a bucket of water (about six inches deep) and hold the bucket under the mob and tap the branch. These critters drop right into the soap bath and die, die, die. Change the water every couple of days. We have done this trap and everday more beetles covered the roses. They were like an invasion of never ending monsters! It did help at first until we were so outnumbered by them that we would literally have to be out there 3 times a day doing this! Thank-you for offering your advice though, I would not have even known this trap if it wasn’t for bloggers like you who care and comment! This is not really a trap, but man driven. Three times a day may be what is needed. There is a root drench by Bayer for trees and shrubs, yet the year I used it hundreds of beetles died in the flowers and the smell was AWFUL! Not sure which was worse! Here in VA the Japs have been thin, only requiring hand squishing when I find them on my one Knock Out rose, planted this spring. Good Luck!